I ran across a zine today called "Entry Point" that was put out in 2009. 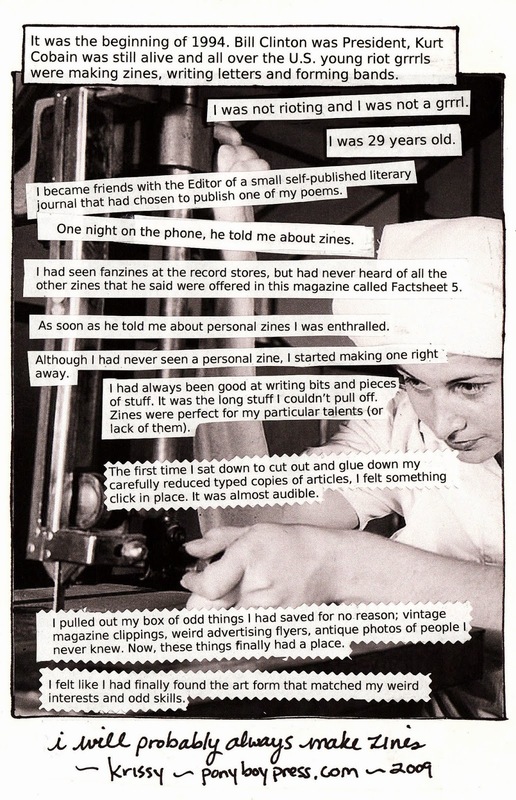 It was a comp zine where different zine makers wrote about how they got into zines. It was neat to see the page I contributed again and I thought I would share it, now, 6 years later! Wow, can't believe it's been that long.